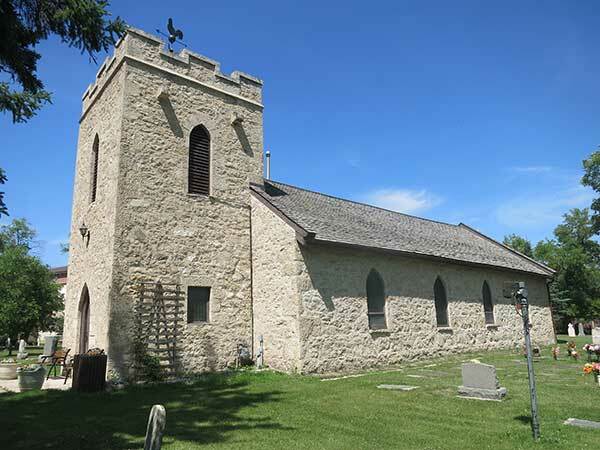 Construction of the St. Clements Anglican Church, in what later became the Rural Municipality of St. Andrews, started in 1860 under the supervision of stonemason Samuel Taylor, and the first service was held in it in December 1861. The bell tower was added in 1928. 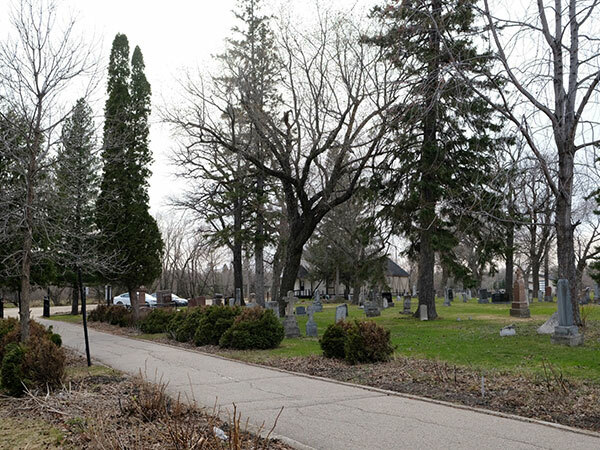 It is surrounded by a large cemetery that contains the graves of many of the founding families of Selkirk. The building is a sturdy stone structure in the English Parish Gothic Revival style with a crenellated bell tower and pointed arch windows and door. 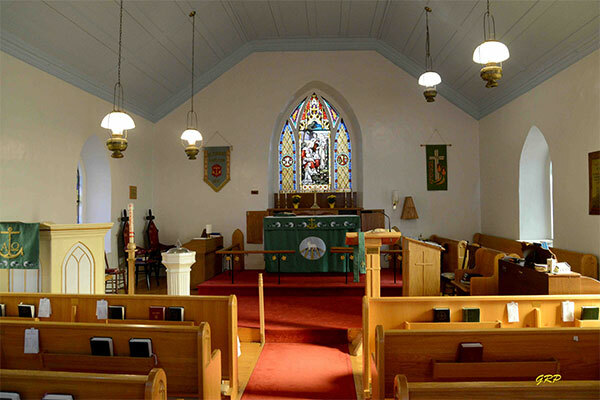 Inside are stained glass windows designed by artist Leo Mol. This page was prepared by Gordon Goldsborough, Christine Loff, George Penner, and Tim Worth.